Erick was born in Mexico City, lives in San Diego, and graduated from the University of San Diego in May of 2017. He was a Finance and Business Administration double major with an International Business Minor. Erick is interested in venture capital, private equity, and investment banking. He attained the CFA certification. Prior to UGF Erick was part of a team at UBS International. He participated in the USD Student Managed Investment Fund, making valuations and investment recommendations for the $200k fund. At UGF Erick has enjoyed learning about different business models and strategies while working on deals in a variety of sectors including consumer tech, e-commerce, and on-demand delivery. 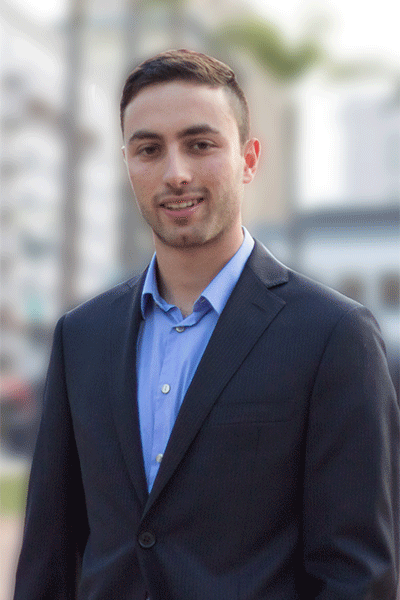 Upon graduating from University Growth Fund, Erick started a position as a Risk Management Analyst Intern at TorreyCove Capital Partners LLC in San Diego. Erick was on the USD water ski team and enjoys playing soccer and tennis.